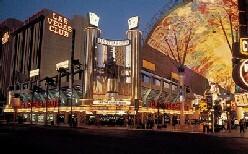 Step up to the plate and get ready to take a swing at one of Las Vegas legendary Casino Hotels - the Las Vegas Club. You'll find just the right mix of old time Vegas atmosphere and contemporary games and cuisine. Established in the early 1900's the Las Vegas Club Casino has provided millions of visitors with the comfort pleasure and excitement they seek. The Las Vegas Club is the gateway to the Fremont Street experience - a spectacular 5 block long pedestrian mall featuring a light and sound extravaganza. 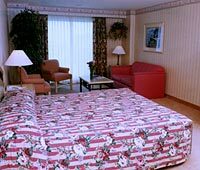 Upon your arrival you'll be greeted by the friendly and accommodating staff who will have you quickly on your way to your beautifully decorated room which includes a large array of amenities such as valet and bellman service, free hotel parking for guests, wake up service, same day turnaround dry cleaning and laundry, and iron/ironing boards. Restaurants include the Great Moments Room for an intimate dining experience and one of downtown's best kept secrets. 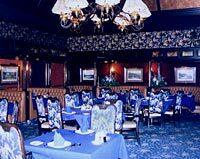 At this Zagat award winning dining room the atmosphere is so pleasant and the food is so exquisite you'll forget that you are in a casino. The Dugout restaurant is home to a wonderful selection of homestyle cooking and a baseball themed atmosphere.